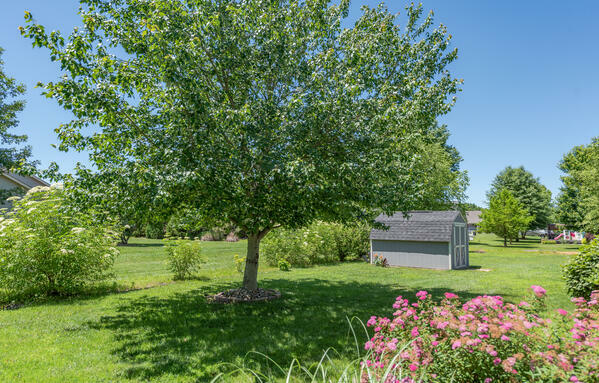 Whether you’re building a new home or you’re thinking about selling the home you have, now is the time to invest in your backyard. It’s been said your home’s value could potentially increase by 20% if you invest in your landscape. Renting to own has never been more convenient and affordable! You may discover the shed you really need but then be put off by the price. But, with our rent to own program you can get what you need at the price that fits your budget. Plus, it's not simply renting. You have a building right in your backyard and each payment goes toward owning the building fully. 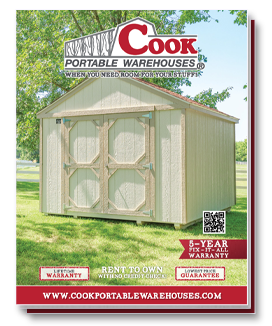 Which portable buildings are eligible for our rent to own shed program? All of them! 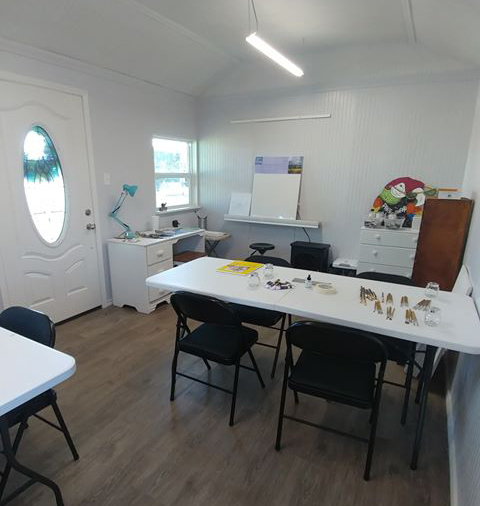 From the ever popular Utility Shed to the largest Handyman Shed, you can find the size and style you like best and still take advantage of this program. 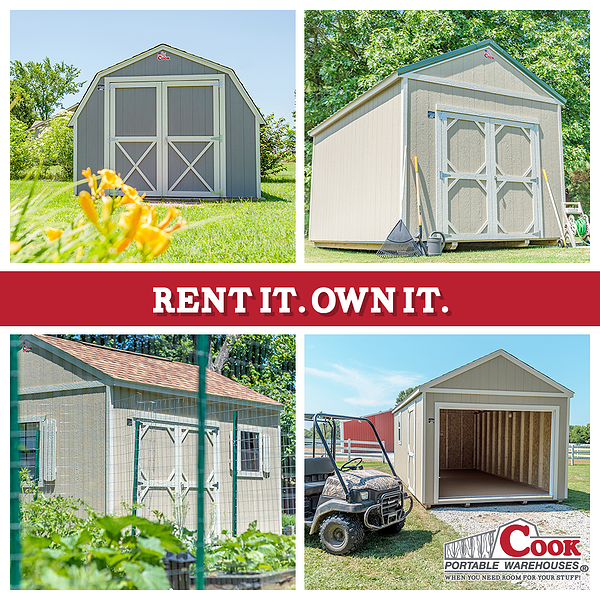 See more reasons why many customers choose our rent to own shed program. You went to the shed dealer, talked the talk, shook hands, had your shed delivered and now it’s time to pack all your stuff away. But, stop right there! Before you begin, take a step back to figure out what you need to stow away and when you may need to get it back out again. First and foremost, create a checklist of your ‘big ticket’ storage items. These are usually the items that made you come to Cook for extra storage space in the first place and often take up the most real estate. Each season has its own storage challenges. You may have an almost empty garage or shed during the Christmas season, but then after the holidays you’re desperate for more space. Or, during Summer you may purchase some new yard tools (or toys!) and discover your space just isn’t large enough for everything. 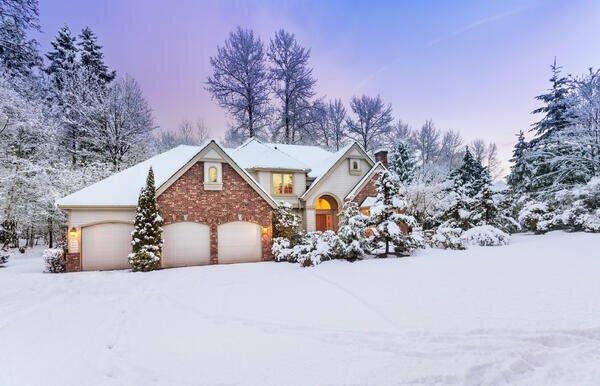 Holidays and winter weather can be a strain on your family and your budget. Snow can keep you cooped up and possibly stranded at home. Less money for the essentials and a slick, icy road can make this season a rough one. But, have you ever considered making some of those essentials yourself? 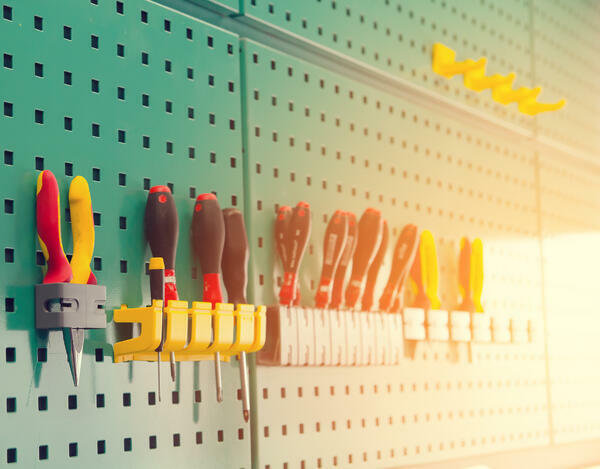 A little do-it-yourself spirit goes a long way for saving yourself money and avoiding less than comfortable situations if you run out of a few must-haves. If you need more room to store your emergency kit or winter gear, a Cook storage shed provides the space you need for every season. 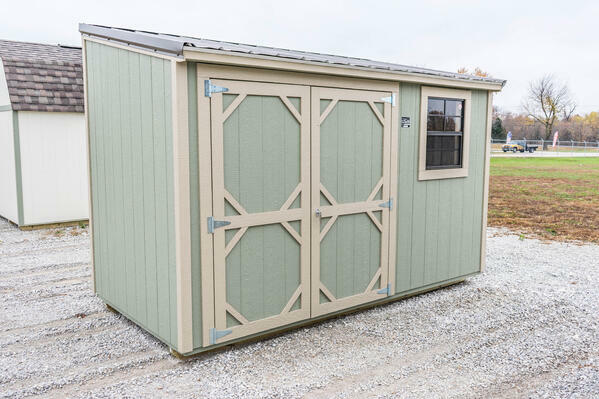 Take a tour of our shed styles. Here are some DIY essentials to make this winter a little more comfortable.